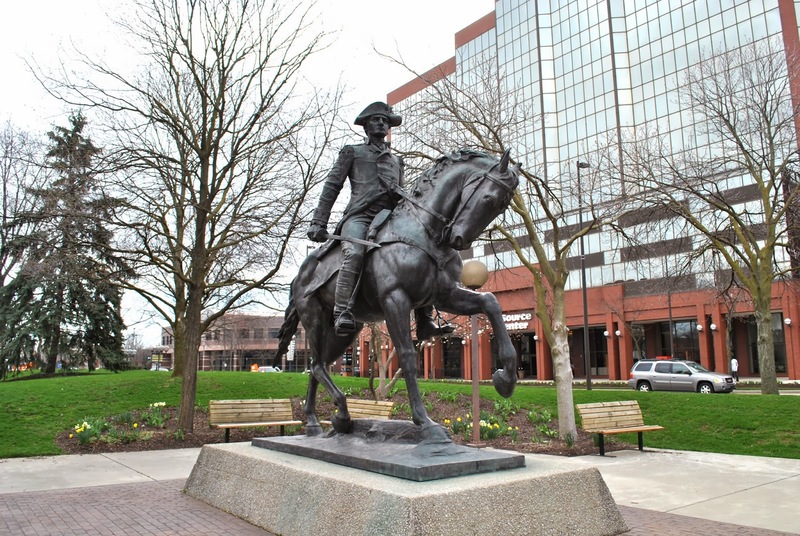 History Center Notes & Queries: Why is HE so important? It’s the holidays and you’re sitting around trying to think of ways to impress visiting relatives with how knowledgeable you are about your town, or you’re bored and don’t want to go outside because of the cold. If you’re like me, you probably start to wonder why a place got called by that name. So, here is a cheat sheet of some of the most recognizable names around town. Have fun amazing your friends and neighbors with how smart you are! Allen- Col. John Allen, a lawyer who became a soldier in the War of 1812. Bass, Col. Sion St. Clair- Civil War hero. Had an iron manufacturing company later sold to brother John. 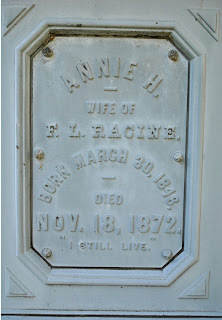 Died as a result of wounds received at Battle of Shiloh. 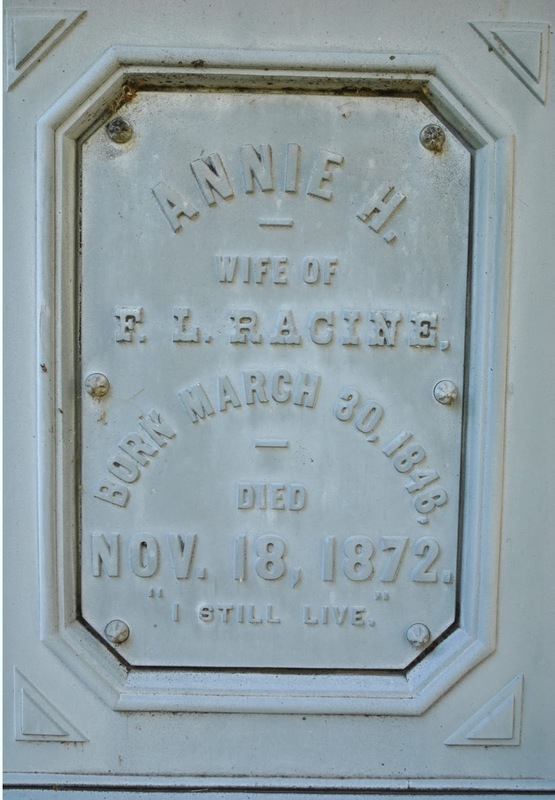 Buried in Lindenwood Cemetery. Bass, John- built Brookside (now on the campus of St. Francis University) Ran Bass Foundry. Bishop Dwenger- 2nd bishop of Fort Wayne diocese. Bishop Luers- first bishop of Fort Wayne diocese. Helped to build the Cathedral of the Immaculate Conception. Buried in Cathedral. Cass, Lewis. Senator. 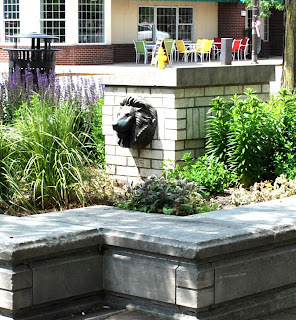 Remembered in Fort Wayne for falling off a gangplank and into the canal. Chief Richardville House National Historic Landmark owned by History Center. Ewing, George- Col., helped to find Frances Slocum decades after her capture. Foster, - manufacturer. Helped to establish Foster Park. Portrait is on Grand Staircase at the History Center. Francis Slocum- Kidnapped by Indians at age 5. When found decades later by birth family, she was so thoroughly Indian that she no longer spoke English. She refused to go back to her birth family. Johnny Appleseed- Real name was John Chapman. He is buried in Fort Wayne, at Johnny Appleseed Park. The History Center has on display a flask that belonged to him. The gift shop has the “Chapman Documents” which are replicas of a deed signed by Johnny, as well as a 2003 Old Fort News on Johnny Appleseed. Lincoln- Abraham Lincoln, the 16th President. Lincoln Tower and Lincoln Highway are named in his honor, although he never won the Allen County vote. Lindenwood Cemetery- historic cemetery in Fort Wayne. Many of Fort Wayne’s founders are buried here. McCullough, Hugh- Banking. Secretary of the Treasury under Lincoln’s second cabinet, also under Andrew Johnson, and later Chester Arthur. Richardville, Chief Jean Baptiste de Richardville. 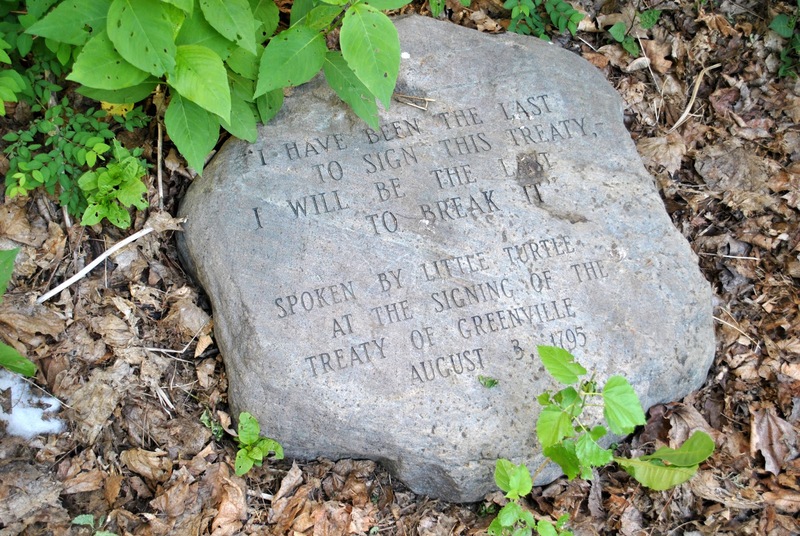 His father was a French fur trader, and his mother was the sister of Little Turtle. Wealthiest Native American in the U.S at the time of his death. Indian name was Pechewa (wildcat). Business and industry came from mother. 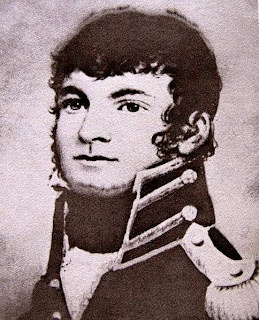 Civil Chief of Miami. 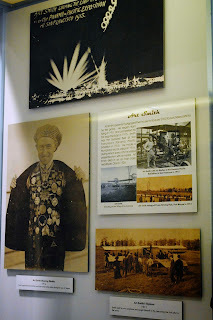 See History Center website for more information. 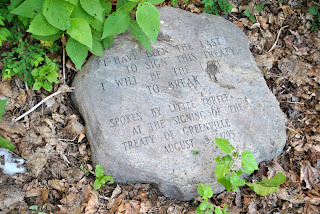 Rockhill, William- one of the first men to purchase land in Fort Wayne. He later became a state representative. Rudisill, Henry- prominent in developing what became St. Paul’s Lutheran Church and then in developing Trinity English Lutheran. For many years, he was one of the few people in Fort Wayne who could speak German and English. Shawnee- Tribe of Native Americans, led by Tecumseh. Swinney- Thomas Swinney. Swinney Homestead. For more information, you can pick up a copy of Graceful Plutocracy put together by The Settlers. Tecumseh- Leader of the Shawnee. He was hostile to whites. 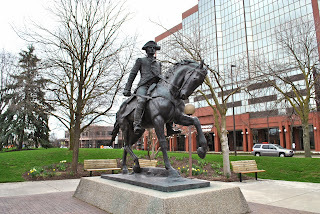 Wayne- General Anthony Wayne. Revolutionary War. Worked with George Washington. Won Battle of Fallen Timbers. Known as “Mad Anthony” because of his bravery. His statue is in Freimann Square. Wolf & Dessauer- THE place to shop for Christmas. Downtown holiday exhibits of Santa in his sleigh and the Wreath are from the old W&D’s. You can also look at the History Center virtual exhibit on the legendary store!